Welcome to Ben’s Beetle Breeding Page! 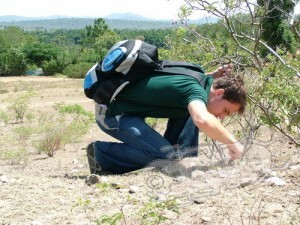 I am Benjamin Harink, now 36 years old and am quite interested in insects and especially in beetles. This website is now more than 20 years old and logically the focus has shifted a bit during these years. Initially only focused on the breeding of beetles, I have included travel reports and a lot of general information about insects. I am quite proud of the online insect museum, a recent addition to which includes the addition of breeding information and links to the species pages. I have been less active on the web in the past few years, mainly because I was busy with writing a book on beetle breeding. The key idea was to summarize all of my experiences with beetles, and to hopefully make it a bit easier for new breeders to start their hobby. Beetles are fascinating creatures, and we still have so much to learn. I will use these pages to publish more on some new species as and when I get them, and to make sure they can be bred by other people as well. Hope you enjoy reading through these pages. Hallo Benjamin. So gefällt mir die Seite wieder besser. I wanted to take a look at the beetles you have identified from India. Would you share the infor. I don’t want any images. 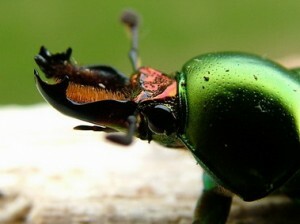 If i do i shall definitely ask you.Chanced on your page when iwas trying to id my stag beetle image. apologies for ultra-late reply. Please do send me a picture of the Lucanid that you found and I will try to indentify them for you. I just came across your website in an online search for possible breeders who can provide us with adult Goliathus goliathus specimens. Over the past three years we have been conducting research on the physiological adaptations that allow the evolution of gigantism in insects. Our focus group is the Cetoniinae beetles since they do represent a range of sizes – from smallish, midsize to the truly giant beetles. Our work includes metabolic measures of beetles at rest and in flight. X-ray tomography, to look at the beetles internal structures, and also tethered flight experiments in the lab to maintain the beetles’ physical condition and eagerness to fly. Of course the key to accurate and reliable scientific data is to maintain healthy and happy beetles. So far we have investigated species from the genera Mecynorrhina, Caelorrhina, Dichrinorrhina and Cotinis. We have suppliers (breeders) in Taiwan and Germany, and a colleague in South Africa who can collect some of the more common smaller species. However, our German and Taiwanese suppliers have difficulty in providing us with healthy Goliathus specimens. Would you, or any of your breeder colleagues and friends, be able to help us purchase several true giants for our research. As a side note, apart from the older taxonomic studies this US National Science Foundation funded project, is as far as we are aware, the only large scale scientific research project on goliath beetles in the world. We hope our results, and the amazing x-ray images, will direct more public attention to this fascinating group of animals. We wish to confirm with full corporate responsibility, that we are ready, willing and able to transact and sell the commodity of Insects, in good ways also terms & conditions. This is the list of insects we have available for export at the moment.